"Erase and clean Nokia PC Suite"
Nokia PC Suite is an excellent suite of applications. However, if you want to uninstall it it is a very cumbersome task. The reason for this is that it usually leaves traces on your computer, which hampers its operation. 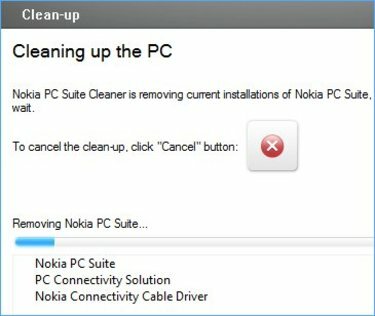 To avoid this, you can count on Nokia PC Suite Cleaner, a simple tool that takes care of uninstalling the program for Finnish mobile phones. 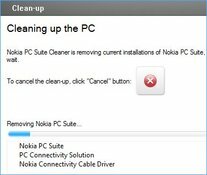 To uninstall it, simply follow the steps on the Nokia PC Suite Cleaner screen as a wizard. After completing the task no trace of the program will be present on your computer.